Inspired By True Events - He did almost die a couple times, but swords were barely involved at all. He did almost die a couple times, but swords were barely involved at all. 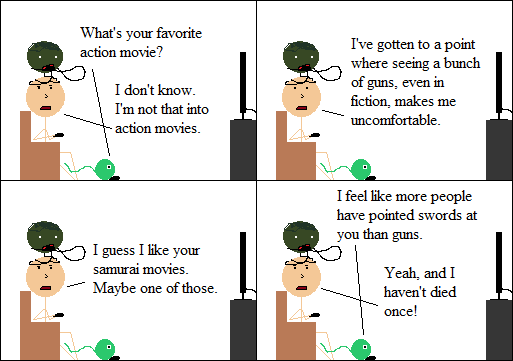 Nimmo watches a lot of samurai movies, imaginary readers. He mutters stuff about “knowing his enemy” while he does it.